Indoor pets can be great companions, but unfortunately cats and dogs can also be a huge hassle, especially if they have fleas. Once this happens, hours of work will be spent cleansing your home of these fleas. While this may be an extremely tedious and time-consuming task, it must be done. Here are ways on how to get rid of fleas in your house. Fleas are commonly found on the pet that brought them in, beds,carpets, clothes, cars, and basically any place that dust collects. They can take the form of larvae, pupae or adults and can stay around for weeks. First, remove the infested pet and quarantine them as soon as possible. As long as they are infested, anything they encounter will need to be cleaned. Second, start washing all rugs, throws, clothing, bedding andany other things that the pet may have touched with hot soapy water. If youaren't sure, wash it just in case. 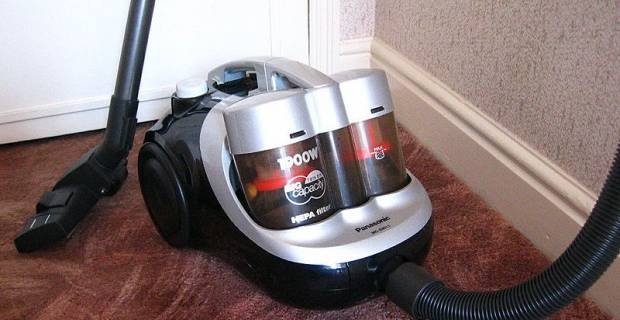 Next, vacuum the entire house. This will get rid of most of the fleas, but as soon as you finish, dispose of the bag so that the fleas can't spread anymore. Unfortunately larvae can latch onto the carpet fibers so the next step is to steam it. If you can't afford someone to come in and do it, the other option is to shampoo the carpet yourself with an insecticidal carpet shampoo. Once you think you have figured out how to get rid of fleas in your house, remember that there is still a pet to clean that started this all. They will need a thorough washing with the appropriate flea treatment shampoo. Putting them on tablets is another option as well, but talk with your veterinarian first to decide on what is appropriate. Some owners put on flea collars, but these can be harmful to pets so it is not recommended. If reading all these tips on how to get rid of fleas in your house exhausted you, maybe this isn’t the best option. A much easier but much pricier option is to contact an exterminator who can use infrared heat treatment to get rid of these pesky fleas. You will still need to do a bit of work, but they should be able to get rid of any fleas that are in your carpet.